We would like to invite you to get to know our DATRON technologies at KUTENO 2019 in Rheda-Wiedenbrück from 07 - 09 May. Experience our smart DATRON neo and our (r)evolutionary DATRON next control at our booth in hall 5 - K11. Convince yourself on site of the innovative Plug and Play principle, with which not only connoisseurs and experts can control the 3-axis CNC milling machine right away. 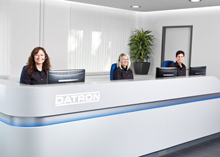 Our team is looking forward to welcome you at our DATRON booth. Discover the world of DATRON and experience the special DATRON highlights at the DATRON booth in hall 5 - K11. Be curious & come by! 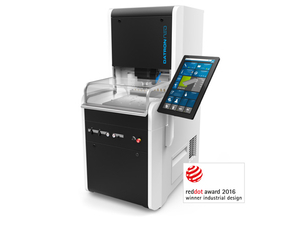 The DATRON neo is made specially for your easy entry into the high-speed milling production. With the plug & play setup, you can be productive immediately with this 3-axis CNC milling machine due to the newly developed DATRON next software - even without years of CNC expertise. The ergonomic, frontal access to the workspace enables easy and safe setup of workpieces and thereby leads to a rapid and precise machining. In addition, the fully equipped milling machine fits through any standard door and does not waste space due to its minimal footprint. The wipe gesture operation, similar to a smartphone, makes milling almost as easy as 3D printing. 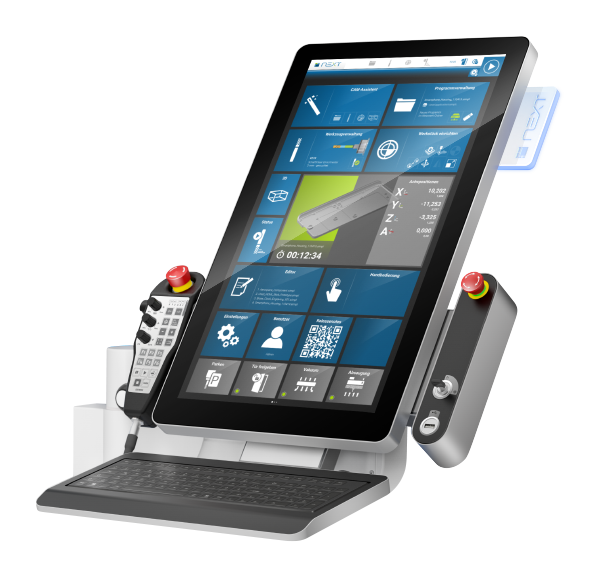 Assistant functions and an integrated camera guide the operator through the milling program in just a few steps. Self-explanatory icons and realistic 3D tools, components, etc. help to quickly identify various functions and offer a high recognition value.